75gm Re-usable Adhesive Block. 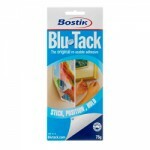 Blue Multi purpose mouldable, putty adhesive. Reusable again and again. 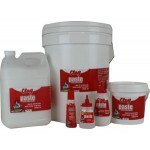 For use on non-porous surfaces such as vinyl coated wall papers, painted surfaces, glass metal etc. 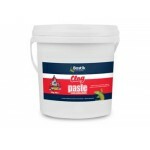 ..
Clag Paste Powder 500grm Non staining Excellent thickening propertiesUse as a Papier Mache paste, Thickener for PVA, a base for finger painting, sealer for hardboard or clay prior to painting..
2.5 kg Celmix/Premier. 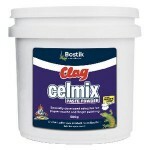 Non toxic Non-toxic multi-purpose adhesive powder for paper, card, collage art, papier mache and fingerpaint ..
500gm Celmix/Premier. 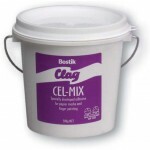 Non toxic Non-toxic multi-purpose adhesive powder for paper, card, collage art, papier mache and fingerpaint ..
5 kg Celmix/Premier. Non toxic Non-toxic multi-purpose adhesive powder for paper, card, collage art, papier mache and fingerpaint ..
2 kg Starch based adhesive paste for bonding paper. Smooth, easy to apply white paste - dries clear. Non-toxic. Bonds paper, cardboard and fabric. Ideal for paper mache, cut and paste activities, school projects and paper craft. ..
300gm Starch based adhesive paste for bonding paper. Smooth, easy to apply white paste - dries clear. Non-toxic. Bonds paper, cardboard and fabric. Ideal for paper mache, cut and paste activities, school projects and paper craft. ..
5 kg Starch based adhesive paste for bonding paper. 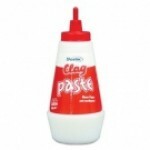 Smooth, easy to apply white paste - dries clear. Non-toxic. Bonds paper, cardboard and fabric. Ideal for paper mache, cut and paste activities, school projects and paper craft. ..